Join and Start Making Money Now! 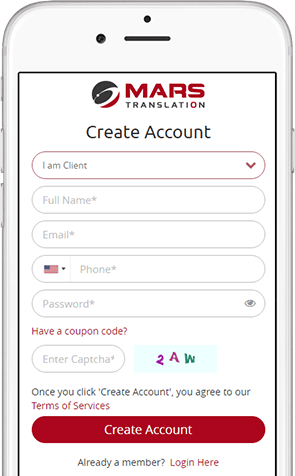 Earn money by bringing more people to Mars Translation, every time we sell to any of the customers you have ever sent us, you earn. The purpose of our affiliate program for you is to make money, and let Mars get new satisfied customers. The process is fast and easy; you can start making money NOW! Get your affiliate URL after login. 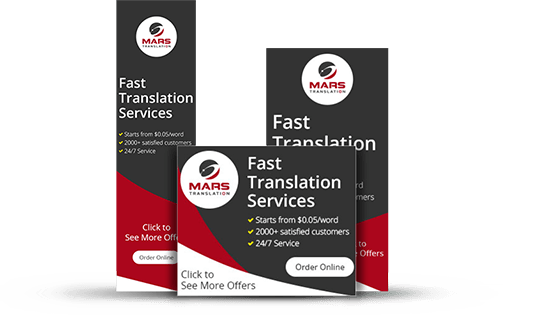 Send traffic to any page on Mars Translation website. You will be rewarded with 10% of the gross revenue. To help you display ads, we have made banners you can put on your website. Please use the following link to download banners of different sizes.